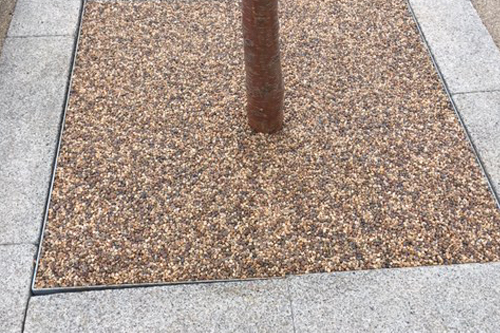 Aura Resin supply and install resin bound gravel suitable for driveways, roads, paths, patios and tree pits. Our products come with 10 year guarantee and no planning permission is required. Aura Resin can transform your outdoor space with stunning pathways and tree pits. Call us now for a quote. Aura Resin are specialists in laying perfect, super smooth asphalt drives and paths. Contact us today for more information and prices. Aura Resin has the expertise and equipment to carry out any ground work project, big or small. Give us a call to discuss yours. 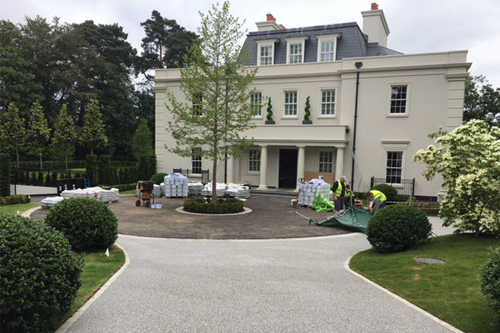 Aura Resin are the largest resin bound gravel driveway specialists in South London. If you’re looking for a reliable, trustworthy and efficient contractor to tackle your groundwork project then you’ve come to the right place. Our products are suitable for driveways, roads, paths, patios and tree pits. With a diverse portfolio of contracting work we have the experience and knowledge to manage a large variety of different groundwork applications. Our products come with a 10 year guarantee and require no planning permission. Prices start from £40 per metre so feel free to call us today on 07958 982513 for a quote. Why is resin bound gravel the best choice on the market? 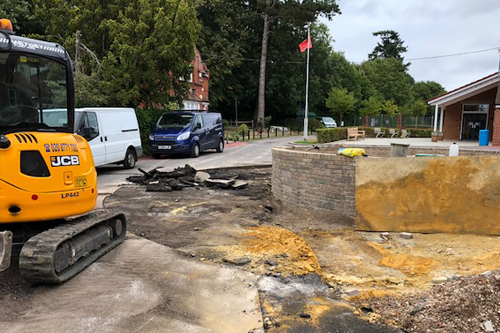 Our driveway mterials are sustainable drainage system (SUDS) compliant which allows water to drain through eliminating water ponding and allows water to drain through into the water course. Resin bound gravel is very low maintenance as it does not allow weeds to grow through. The resin is also UV resistant which prevents degrading upon exposure to the sun. 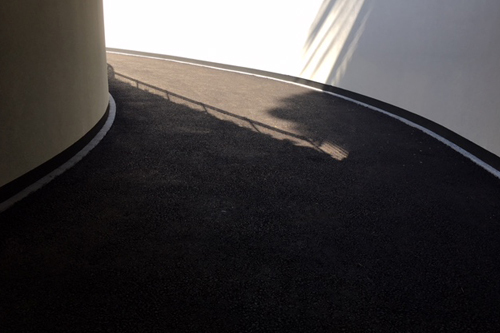 Our blends are also slip resistant in accordance with BS 8204-6:2008+A1:2010 Appendix B and come in a variety of different colours and textures to cover any size of area. 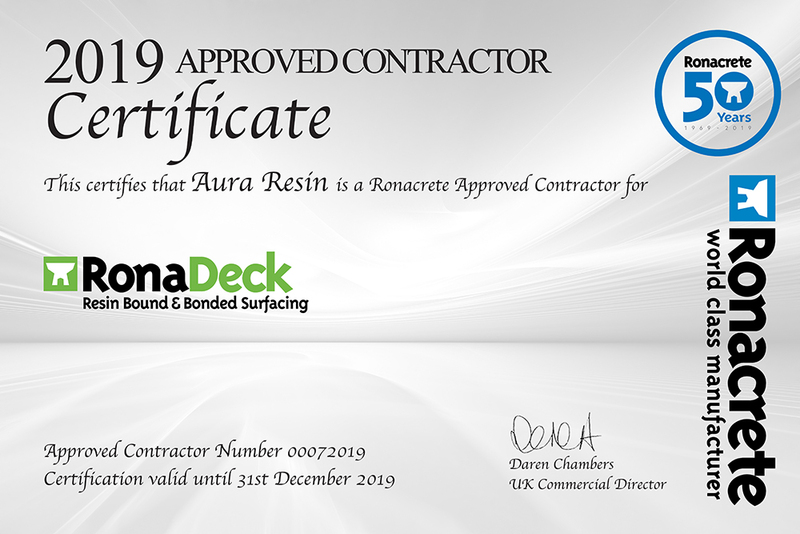 For your peace of mind we are an approved Ronacrete contractor. To enquire about any of our products or services, please give us a call today on 07958 982513 or fill out our contact form and we’ll get back to ASAP.